2015 is set to be the hottest year on record as November smashed previous records, being 1.75 degrees Fahrenheit (0.97 degrees Celsius) above the 20th century average. Japan’s Meteorological Agency reported similar heat anomalies for November. 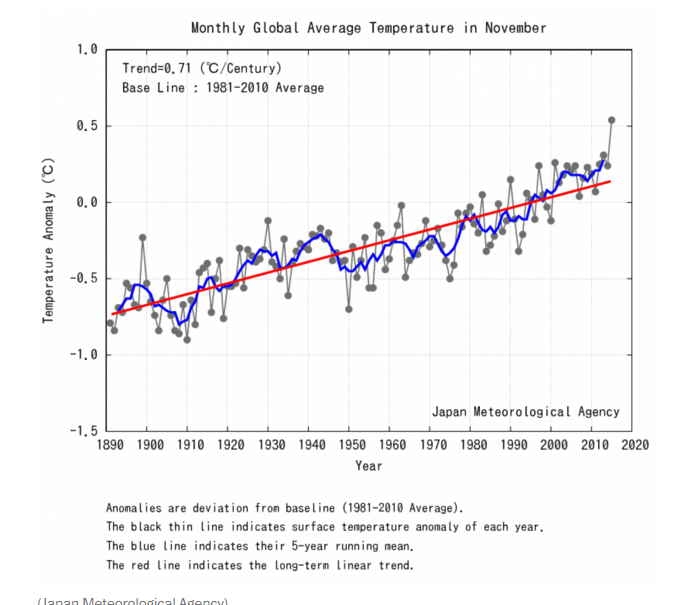 As if that wasn’t enough, 7 of the first 11 months of the year broke the record, according to reports by both NOAA and NASA’s Goddard Space Flight Center. This means, with virtual certainty, that 2015 will overcome 2014 as the hottest year in the 136 years since recording started. “Most of the globe is covered in record warmth,” said Jake Crouch, climate scientist at NOAA’s National Centers for Environmental Information. “At this point we’re virtually certain that 2015 will be the warmest year on record,” he told reporters. 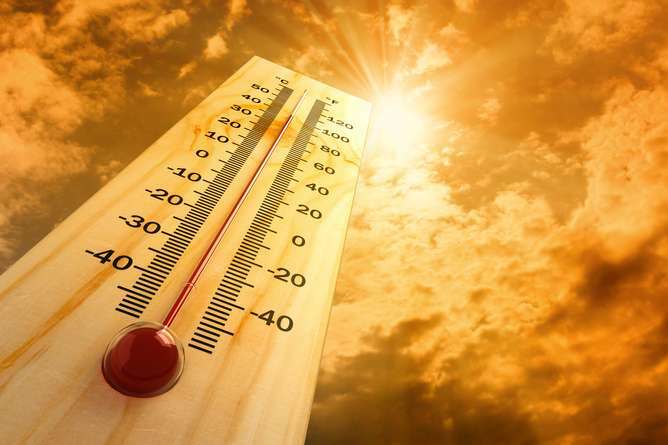 The World Meteorological Organization already predicted that 2015 will be the hottest year on record and of course, this is a result of human activity and the greenhouse gases we are spewing into the atmosphere. El Nino, which is particularly strong this year, seems to also be playing a key role. “We do expect the trend of upward temperatures to continue in the short and medium term,” he said. “The El Nino is marked by a very large area of very warm sea surface temperatures in the equatorial Pacific, which tends to boost global temperatures, so El Nino years tend to be warmer than non El Nino years,” he added. NASA further emphasized that point, accentuating our society’s impact. Despite global temperatures being on the rise, there are still some areas in the world with lower than average temperatures. Colder than average temperatures have been reported in parts of the western United States, southern Greenland, northern Asia, and southern South America.